 Toddz Electric is a relatively new startup business that provides electrician services in the tri-state area. 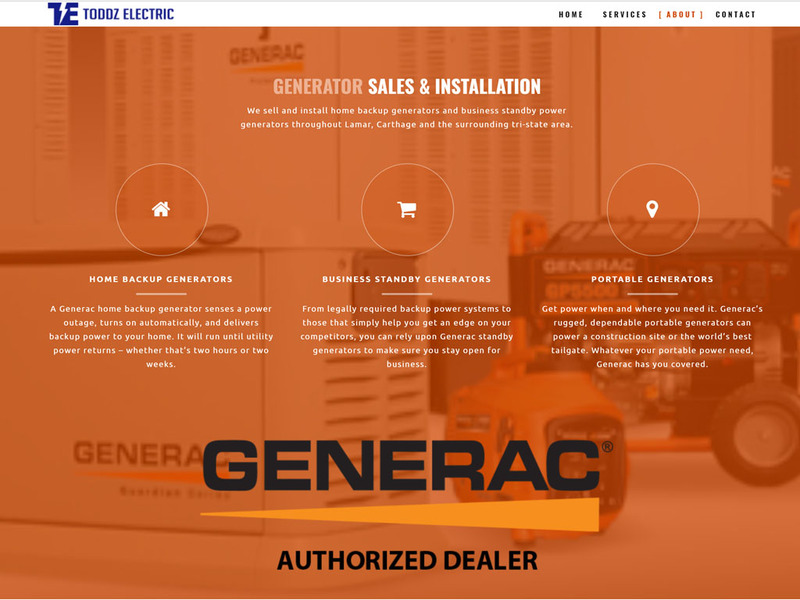 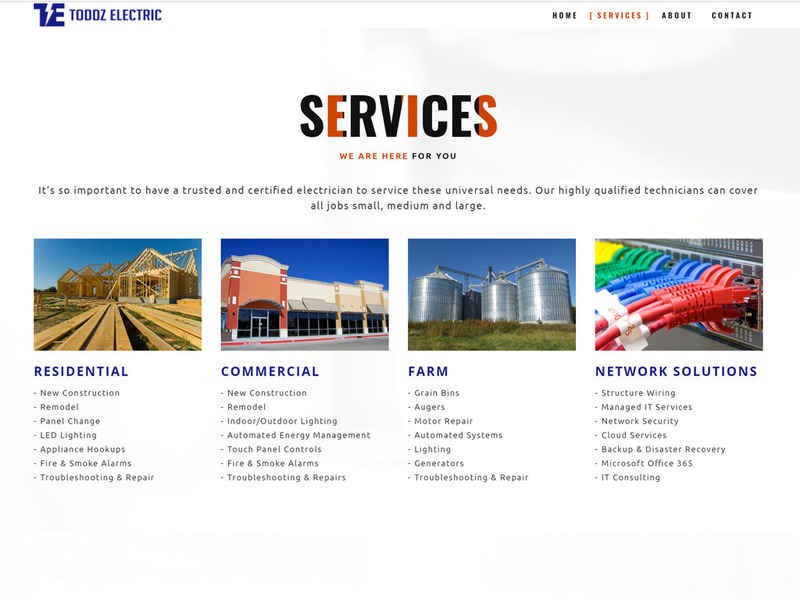 Toddz Electric did not have a web presence and needed a way to reach new customers. 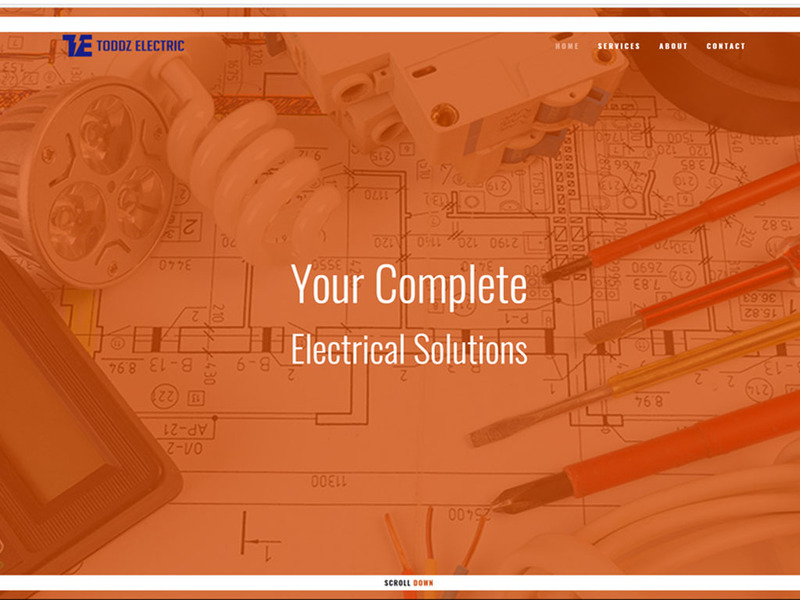 They did not need a large amount of information so we built them a responsive one page design. 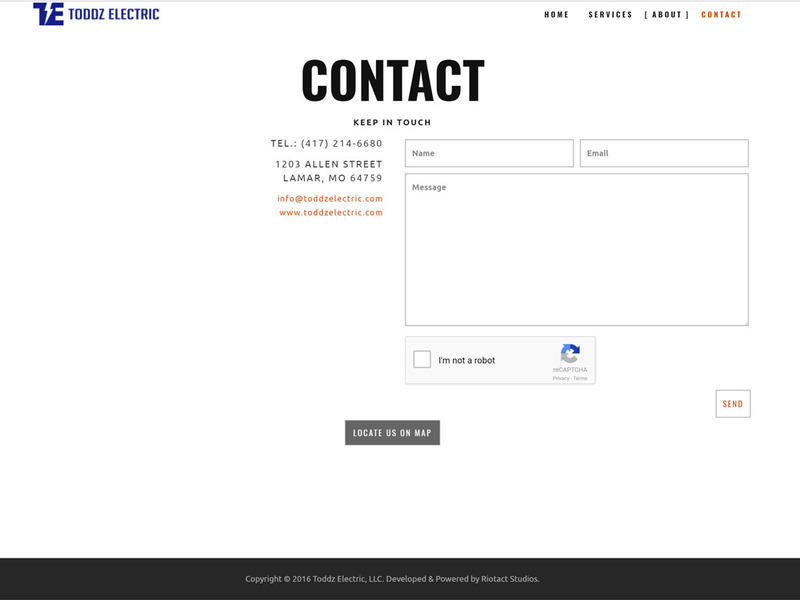 In the future we can always add more pages as they grow.